Welcome to Day #15 of Chocolate and Africa Theme Week. 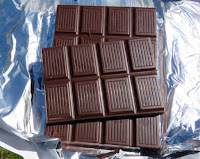 Today's Dark Chocolate 62% Cacao West Africa bar was from TCHO (Berkeley, CA). It had a classic, sweet dark chocolate* aroma with light spice notes. The bar tasted quite sweet and smooth (and relatively low in fruit notes and/or acidity), but offered a uniform, predictable chocolate tasting experience. Most of the world's high-volume, commercially produced chocolate in the U.S. and Europe is made from cacao from West Africa. Most people's chocolate tasting experience and expectations have been formed around this chocolate. For many years, most large-scale operations have chosen to maintain a predictable flavor profile in their chocolates from year to year, across different regions and sources. Beans are carefully blended and roast profiles and other operations help to control variations in batches and different harvests. 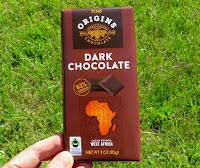 So a West Africa bar like today's bar from a relatively large maker* may not have the nuances of flavor that a small batch bar would have, that would vary from season to season. 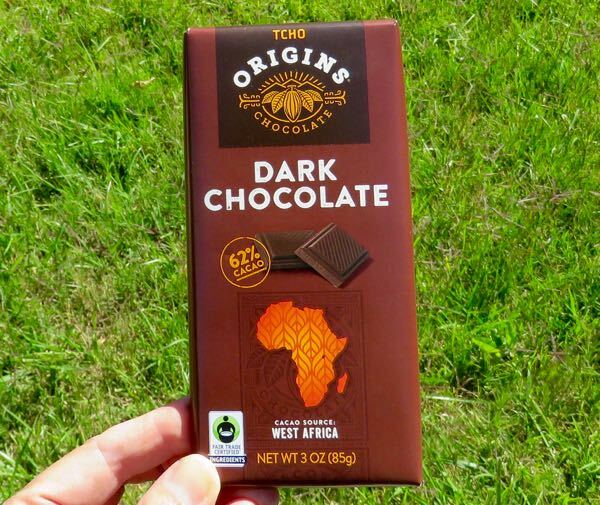 Nonetheless, it's interesting to learn more about West African chocolate, as transparency about origins increases, and more chocolates become available for side-by-side tasting. *TCHO was a relatively early entrant into the new American chocolate maker movement (2005) and was instrumental in helping to educate the public about the different flavors that were possible to develop in chocolate. 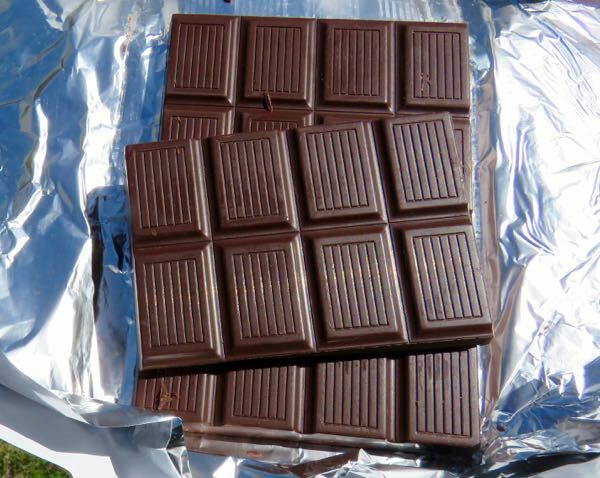 TCHO bars have focused on cacao (single and blended origins) that highlighted nutty, fruity, chocolatey and other "flavors" of cacao—sometimes mentioning the country of origin, and sometimes not.